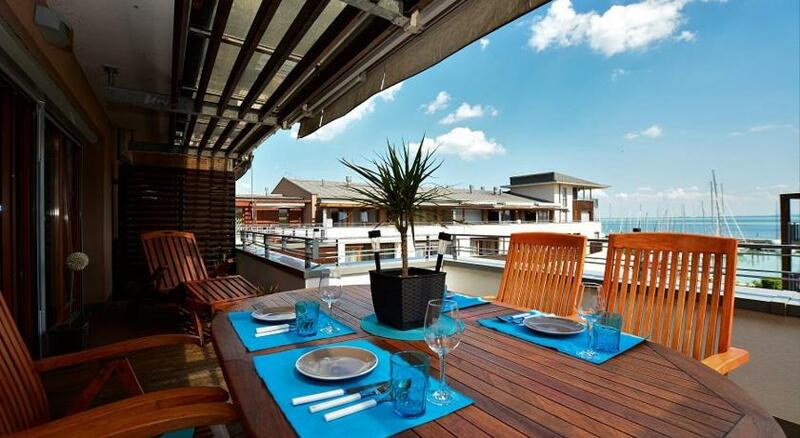 Situated in Balatonfüred, this air-conditioned apartment is 1.4 km from Annagora Aquapark. The property boasts views of the lake and is 200 metres from Round Temple. Free WiFi is provided . There is a dining area and a kitchen equipped with microwave. A TV is featured. Private parking is also available on site. The property has water sports facilities and bike hire is available. The nearest airport is Hévíz–Balaton Airport, 63 km from the property.